Led by Daniel Sterling, D.C. and the MLS Europe Staff. Danny has been studying MLS since his second week as a DC2B at Life Chiropractic College West and has been on staff for over 10 years. He is passionate about chiropractic and teaching others. Danny and his wife, Mytxu, have two vitalistic practices in the Spanish Basque Country since 2010. 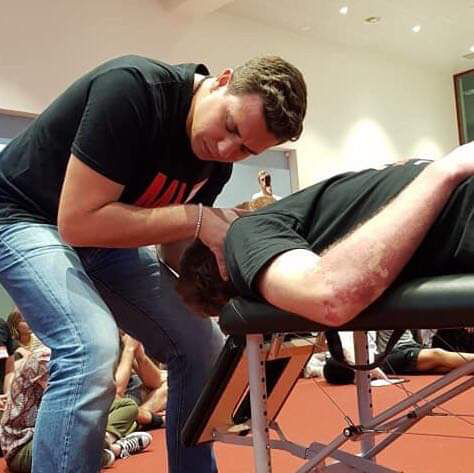 In 2017, Danny was honored with the Teacher of the Year Award from the Barcelona College of Chiropractic for teaching “the Art of Chiropractic" from a fun, inspirational and vitalistic perspective. ** Sorry PTs or Osteopaths, this seminar is for Doctors of Chiropractic and students of Chiropractic ONLY.